ABox abduction is an important reasoning facility in Description Logics (DLs). It finds all minimal sets of ABox axioms, called abductive solutions, which should be added to a background ontology to enforce entailment of an observation which is a specified set of ABox axioms. However, ABox abduction is far from practical by now because there lack feasible methods working in finite time for expressive DLs. To pave a way to practical ABox abduction, this paper proposes a new problem for ABox abduction and a new method for computing abductive solutions accordingly. The proposed problem guarantees finite number of abductive solutions. The proposed method works in finite time for a very expressive DL, , which underpins the W3C standard language OWL 2, and guarantees soundness and conditional completeness of computed results. Experimental results on benchmark ontologies show that the method is feasible and can scale to large ABoxes. 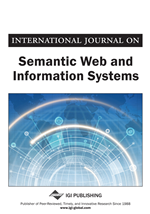 The W3C organization has proposed the standard Web Ontology Language (OWL), whose newest version is OWL 2 (http://www.w3.org/TR/owl2-overview/), to model ontologies for a wide range of applications. OWL is underpinned by Description Logics (DLs) (Baader et al., 2003). For example, the two important species of OWL, namely OWL DL and OWL 2 DL, are syntactic variants of two DLs and respectively (Horrocks et al., 2003; Grau et al., 2008). With formal semantics, DLs provide a number of well-defined reasoning facilities which widen the applicability of DL ontologies, including OWL ontologies. Besides standard reasoning facilities proposed in the DL handbook (Baader et al., 2003) such as checking whether a DL ontology is consistent and checking whether an axiom is entailed by a DL ontology, some non-standard reasoning facilities have been proposed as well. A well-known non-standard reasoning facility, called axiom pinpointing (Baader & Peñaloza, 2007; Schlobach & Cornet, 2003) or justification computing (Kalyanpur et al., 2007), is to compute minimal sets of axioms responsible for an entailment of a DL ontology. This facility is used to explain why some axioms are entailed by a DL ontology and suggest solutions to remove these entailments. Corresponding to this facility, another well-known non-standard reasoning facility, usually referred to as abduction or abductive reasoning (Elsenbroich et al., 2006), is to compute minimal sets of axioms that should be added to a background ontology to enforce entailment of an observation which is a set of axioms. This facility is used to explain why some axioms are not entailed by a DL ontology and suggest solutions to enforce these entailments. Since a DL ontology is composed of a TBox, which stores intensional knowledge, as well as an ABox, which stores extensional knowledge, there are two sub-facilities for abductive reasoning in DLs. One is TBox abduction, the other is ABox abduction. They differ from each other on the kinds of information that is allowed to appear in computed results. For TBox abduction, only concepts, roles or TBox axioms (e.g., concept or role inclusion axioms) are allowed. For ABox abduction, only ABox axioms (e.g., concept or role assertions) are allowed. ABox abduction has its unique characteristics and cannot be treated as axiom pinpointing or solved by existing methods for TBox abduction. See this in the following example.